I can’t read the stuff on the bucket, so I don’t know what’s going on here. This one is technically a Donkey Kong rip-off, but I’m counting it as Mario since two of the kids are dressed like Mario and Luigi. 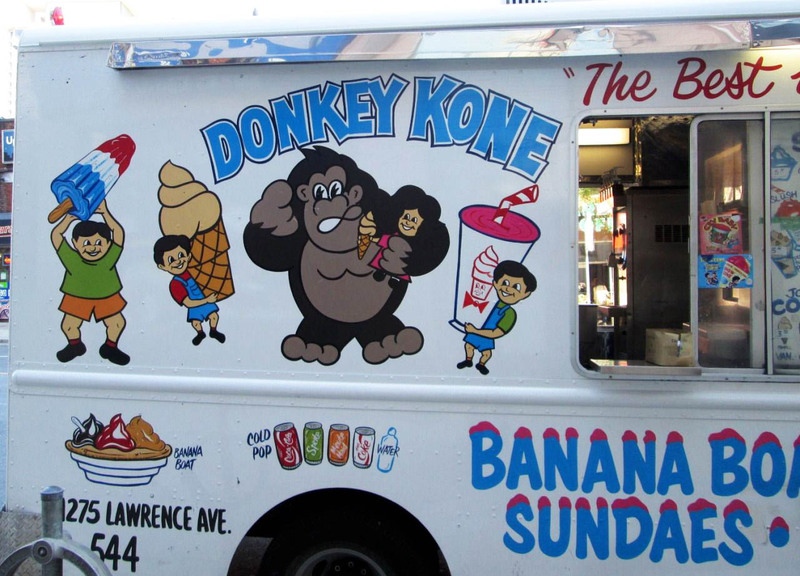 I wonder if it plays the Mario or Donkey Kong theme as it drives around! Have you seen pictures of bootleg Mario things like the above? Please share them in the comments! 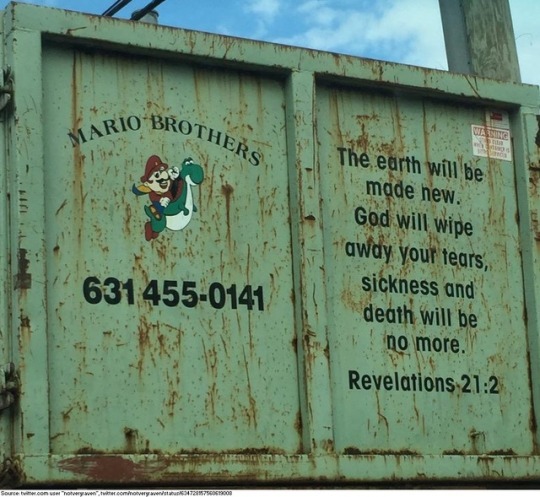 Bootleg Mario Week 2018: Mario Bros. …Dumpster? 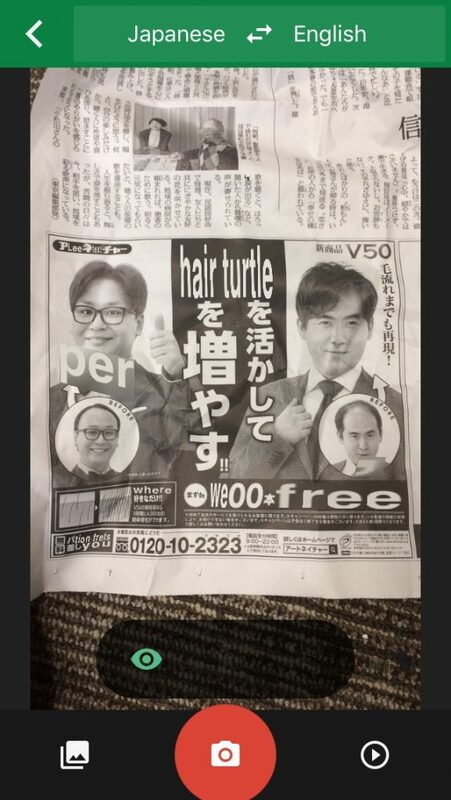 I don’t even know what’s going on here. Now this one makes sense. 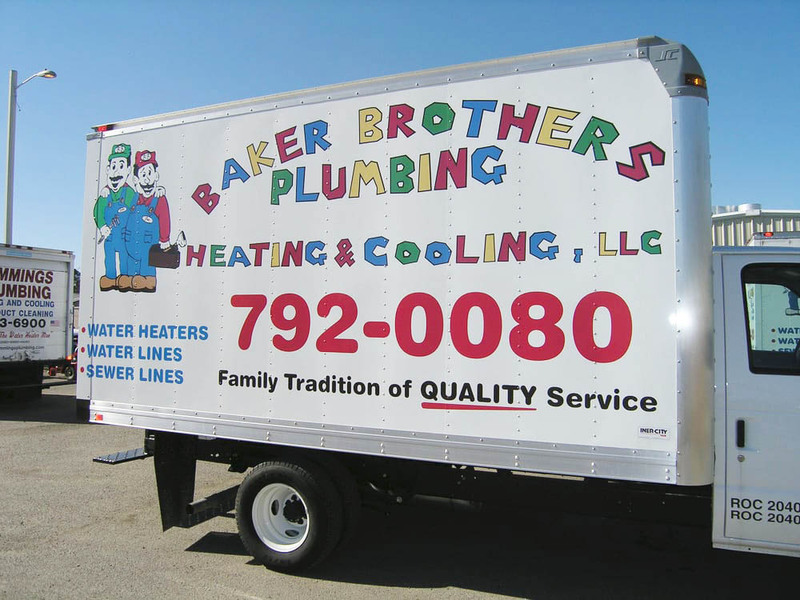 If you’re gonna steal the Mario brothers’ likeness and font, you might as well have their fictitious career. If you have any funny bootleg Mario pics like the one above, please share them in the comments! 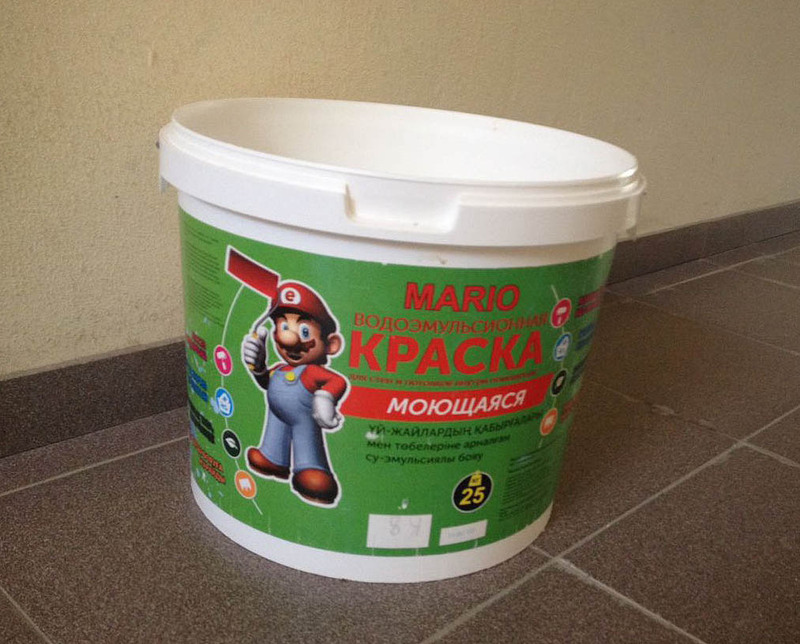 It’s easy to find bootleg Mario games, but it’s hilarious when you see small businesses using Mario characters and fonts to advertise their products. Let’s feature these blatant rip-offs all week! First up is Super Mario Fried Chicken. I like the addition of the chicken leg in Mario’s hand. 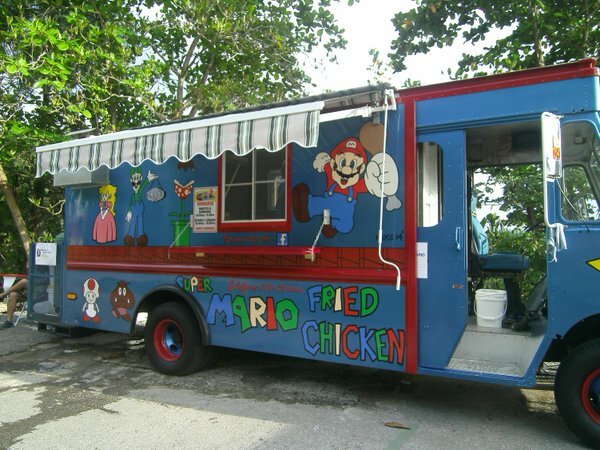 I don’t think the Mushroom Kingdom even has chickens, though… Not gonna lie, I’d totally buy some chicken from this place. If you’ve seen other bootleg Mario things like the above, please share them in the comments! In researching the Four Heavenly Kings, I had to watch a few episodes of the Bobobo-bo Bo-bobo anime. It grated on me so bad because everyone was yelling and overreacting half the time. I understand it’s a silly anime that breaks a lot of rules, but my gooooodness, I couldn’t take it. 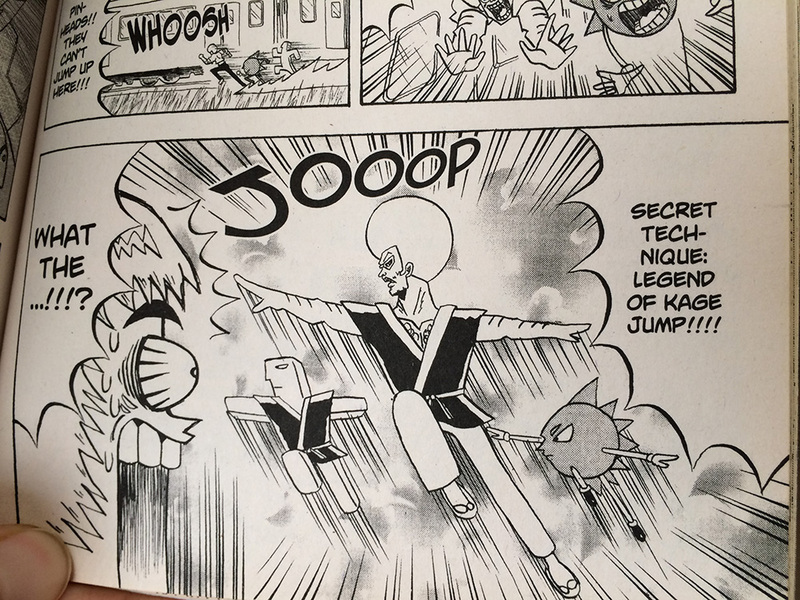 Dangggg, what an obscure reference! I had to look at gameplay of the old Legend of Kage NES game to make sure I was right, and yup. Nice one. I might end up reading this whole manga once my research is done. 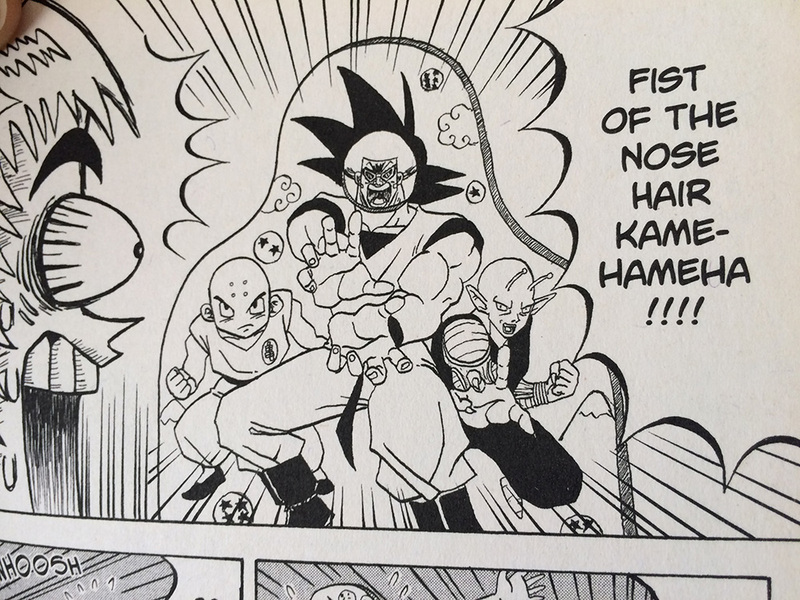 So hey, if I can’t hear anyone yelling and screaming, Bobobo is a pretty good experience! 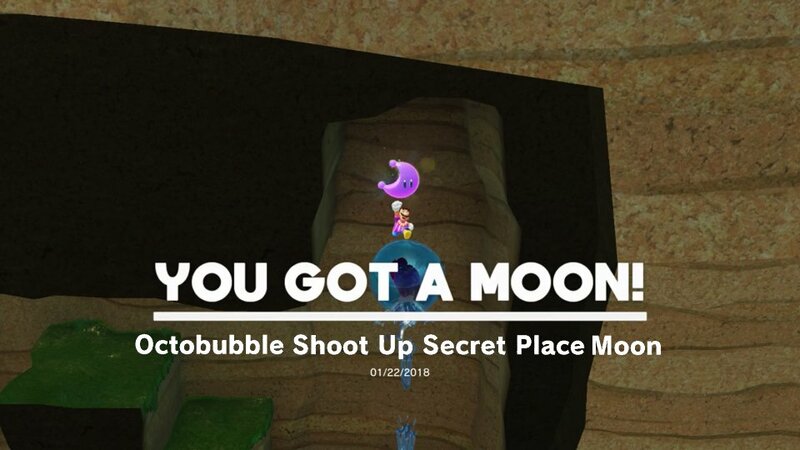 We now have an official guidebook to help us get up to 500 moons, but maybe some crazy moon descriptions will still happen as we wrap things up. We will never be free of eagles here at LoL. 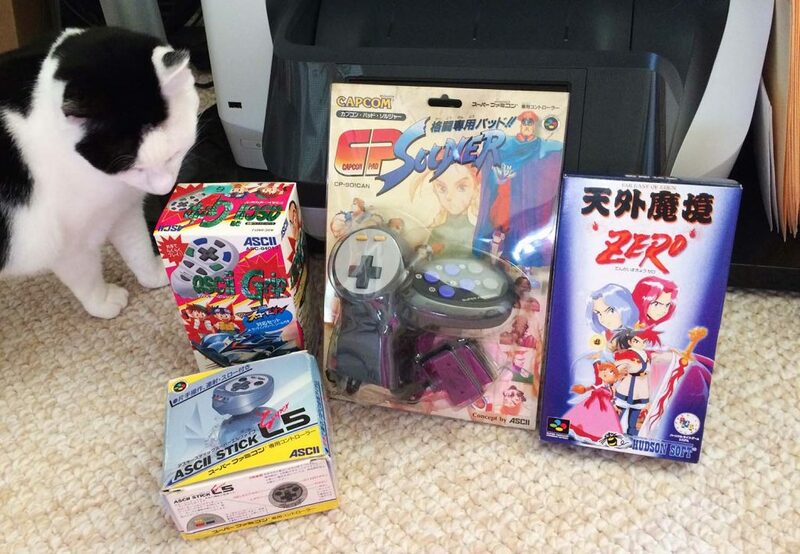 A lot is always going on behind the scenes of our Legends of Localization projects. Here, we’ll share some inside looks at what we’re up to and share cool photos + info of our research materials, most of which never gets seen in our main articles & books!